SAN CRISTOBAL/CARACAS (Reuters) - Robbers and looters are targeting trucks carrying food across Venezuela in another sign of worsening shortages that have turned basics like flour and chicken into coveted booty. Crime has long plagued shops and roads in Venezuela, which has one of the world's highest murder rates. 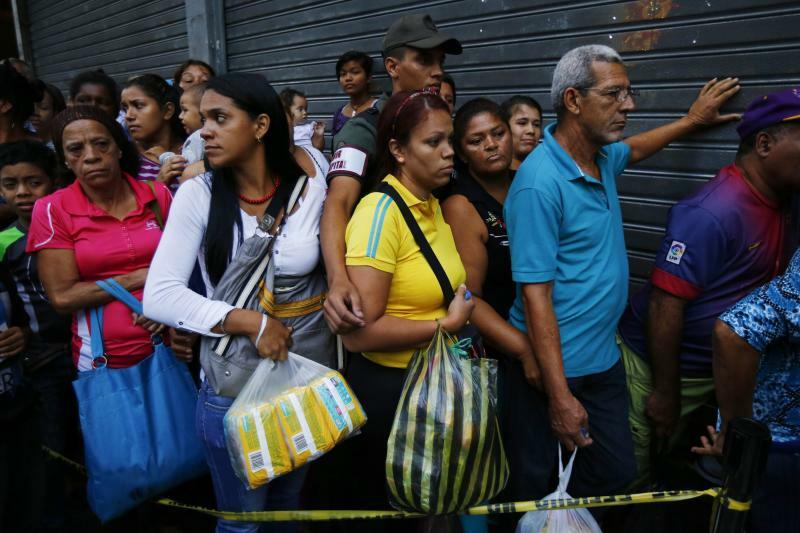 But widespread shortages due to a restriction of dollars for imports have worsened since the New Year. This has made food delivery increasingly risky even as certain trucks have been fitted with GPS devices and are sometimes protected by private security agents. "I won't transport food anymore because the streets are too dangerous," said Orlando Garcia, a 37-year-old driver from the western state of Tachira who has been ambushed twice as he crisscrossed the country. "They put screws on the road (to burst your tires), and when you stop to fix the tire they attack you," said Garcia, who now refuses to work past midnight and will only transport plastics. Queues that stretch around blocks are now a common sight throughout the OPEC country. Armed National Guard troops have been deployed to maintain order, but frustration mounts quickly during hours-long waits under the Caribbean sun. 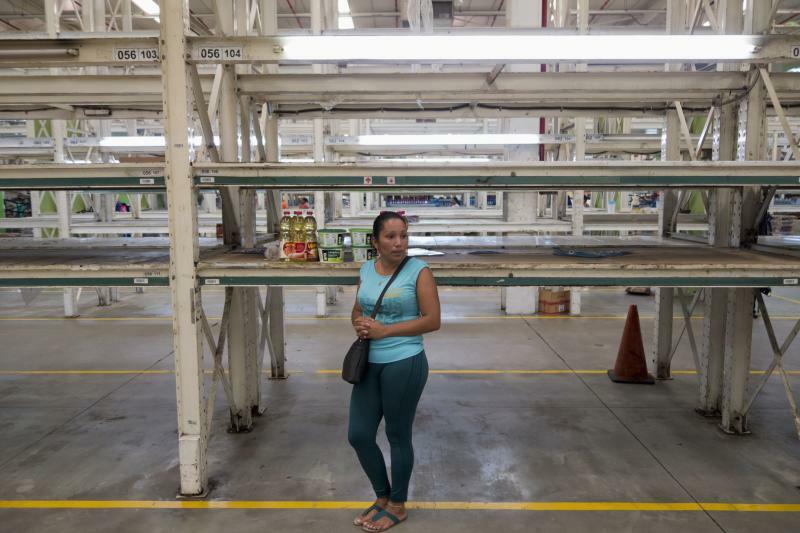 "It's become a security problem to bring trucks to big supermarket stores," said Arsenio Manzanares, who heads a Venezuelan truckers' union. "This wasn't a problem before, but now with these queues, people see a truck and they lunge for it." 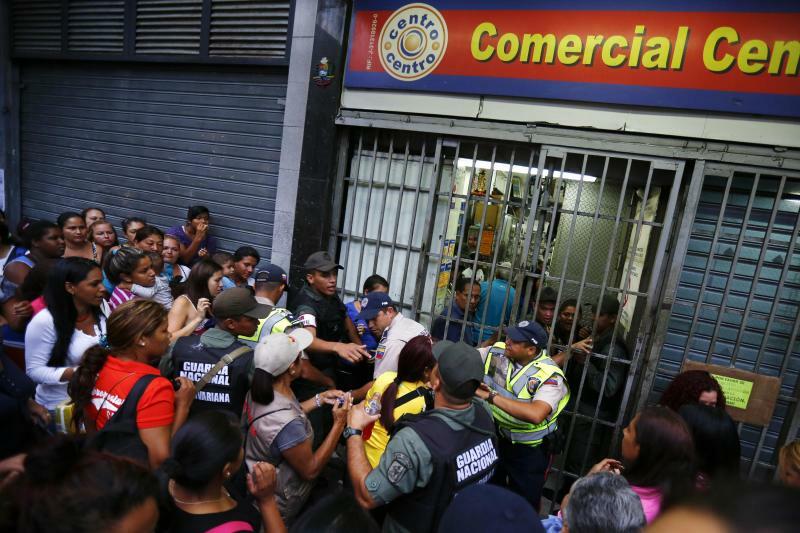 Local media have reported several food robberies in Caracas this month, including one by four armed thieves who stole canned tuna, corn flour and refined sugar. President Nicolas Maduro blames the scarcities on an "economic war" waged by right-wing foes trying to topple his socialist government. This week, he announced yet another crackdown on hoarders and contrabandists who sell price-fixed goods in Colombia for a tidy profit. Industry leaders and drivers say shortages have been exacerbated by the phasing out of night deliveries for security reasons, lack of truck batteries and tires due to the impact of currency controls, and poor roads. The government did not reply to a request for comment. Statistics on deliveries are hard to come by, but Manzanares estimates they have dropped by 30 percent. But despite mounting risks, some truckers are still hitting the road. "They've robbed me five times already," said driver Jose Alexander Rincon, 39, also from Tachira. "I'm nervous. It's more dangerous by the day, but I don't have an alternative."